HMS 1 & 2, Used Rail as well as Copper Scrap and Shredded Aluminum. All products are sourced from leading suppliers around the Globe. The products are available on FOB or CIF basis and delivered to any safe Working Ports around the world. 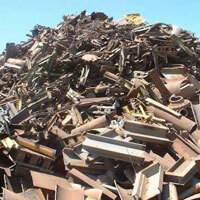 We are an Industrial Metal Scrap Exporter and deemed as the best Copper Scrap Exporters Australia. Various scrap provided by us including HMS 1&2 Scrap is of superior quality. Let us know about your complete requirement and we would deliver you your order on time. We pack the metal scraps well before dispatching. The company has emerged as a reliable Exporter of Copper Scrap in Victoria. The Copper Scrap, offered by the company, is widely appreciated by the clients for its quality. 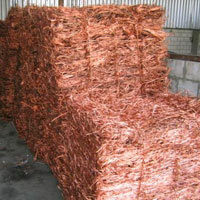 The company offers the Copper Scrap which is in good condition and the scrap is usable for a large number of purposes. We have acquired an enviable position as an Exporter of HMS 1&2 Scrap based in Victoria. The HMS 1&2 Scrap, offered by us, is in good condition. The quality and utility of the HMS 1&2 Scrap makes it a widely demanded product. The HMS 1&2 Scrap is sourced from the highly trusted vendors and is offered at the market leading prices. The company is one of the leading Exporters of Used Rail Scrap in Victoria. The Used Rail Scrap, offered by the company, is widely appreciated for being in a good enough condition that is usable for various purposes. 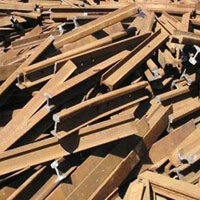 The Used Rail Scrap is available at highly competitive prices.